Rosh Hashanah (Jewish New Year): Will God forgive? 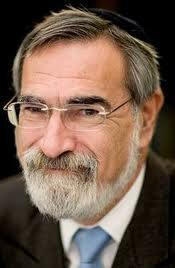 At the start of the Jewish New Year I have some questions for Britain’s Chief Rabbi, Lord Sacks. They are for him in particular because of what he said in a recorded message of preparation for the New Year, but they are also questions that could and should be asked of rabbis everywhere. First here’s the complete text (quite short) of what Lord Sacks said and can be seen to be saying on You Tube. “That’s the sound of selichot (the choral-like prayer that opened his lordship’s presentation). Of saying sorry. The special prayers we say at this time of the year as we come close to Rosh Hashanah and Yom Kippur, the Jewish new year and the day of atonement. And there’s something so powerful about the ability to say sorry. “Out there in secular society we live in a non penitential culture. When was the last time you heard a politician say, ‘I’m sorry’. Or a rabbi say, ‘I got it wrong’. Or a pundit say, ‘I made a mistake’. to say sorry to the people I’ve hurt. Saying sorry is the superglue of interpersonal life. It mends relationships that would otherwise be broken beyond repair. You won’t be sorry that you said, ‘I’m sorry, Shanah toya’. If this goy (me) completely understands the message, the Chief Rabbi is calling on British Jews (and by obvious implication all others) to say sorry to the people they have hurt as well as God. And if that is so I have three questions. 1. Do the people who have been hurt by Jews in Zionism’s name include the Palestinians? 2. If the answer is “No”, why not? 3. If the answer is “Yes”, why is that most Jews can’t say sorry to the Palestinians for the terrible wrongs done to them in Zionism’s name? (The terrible wrongs only begin with the first phase of Zionism’s ethnic cleansing of Palestine). As I was turning over in my gentile mind possible answers to the last question, I recalled a very revealing story Golda Meir told me in our last conversation shortly before she died. It was about what happened early on the first morning (day two) of the Yom Kippur war when Sadat’s forces were consolidating their hold on the Suez Canal which they had crossed in a surprise attack. Prime Minister Meir convened a kitchen cabinet meeting in her small and very modest Tel Aviv home. Defense Minister Dayan proposed that the IDF should “surrender” its remaining frontline positions on the canal to save lives and withdraw 25 kilometers. To me Golda said: “I told Moshe there was no such word as surrender in our language, then I rushed to that little room there, the toilet, and vomited.” (The full version of that story, and many others, is in my book, Zionism: The Real Enemy of the Jews). Is it the case that there’s no such word as sorry in Zionism’s vocabulary? As I understand it the real problem is that saying sorry to the Palestinians requires all Jews, not only Israeli Jews, to acknowledge the wrong done to the Palestinians in Zionism’s name. And that in turn would require all Jews, not only Israeli Jews, to play their necessary part in righting the wrong done to the Palestinians. Perhaps more to the point is that saying sorry to the Palestinians would raise the Mother and Father of all questions about the legitimacy and criminality of Zionism’s colonial-like enterprise. I’ll address my last question for the moment directly to Lord Sacks. Chief Rabbi, do you really believe that God will forgive the Jews if they don’t say sorry to the Palestinians and then play their necessary part in righting the wrong done? I have had many conversations with zionists. I can tell you, that facts have very little to do with zionist thoughts and opinions; which are universally developed on solely emotional terms, learnt and expressed by rote from childhood. The introduction of facts; and I am referring to well referenced and indisputable (perhaps confirmed by zionist leadership or israeli newspapers; israeli historians etc) do not change the zionist story. The reason why, is that in determining zionist truth; facts are not followed to conclusion but rather a destination is determined beforehand, then a path traced back to a starting point. It is also very interesting to note, that on occasions where a fact is so blatant and irrefutable that the zionist story must move off the determined path; future conversation on the same topic have not been modified in light of what was a new piece of information for that individual. I have seen it many many times before, that new facts that must change the zionist story; though once accepted have been forgotten with only the well worn emotional fable remaining. The inescapable conclusion is that the zionist mindset will not and I believe cannot be changed by sensible or factual argument. They are not listened to; not believed and at base level, not understood. Two questions: is there a god? Seeing in what shape the world is, I very much doubt it. Are Jews practicing what they are preaching, seeing how they continue to mistreat Palestinians? This is a silly setup. I was raised a christian. The answers to your questions are obvious to anyone who counts himself a sinner before God. God has already forgiven. To receive the forgiveness one must nhot only admit the sin before god and man, but also right the wrong. I am agnostic now, which, I think, allows me a pass on this silly subject placed in this setting. If I really had to explain this comment I would have to write a book -- actually a history. But this has already been done. If there is a god or not is besides the point. What Alan has said to the Jews is: will you follow your own rules. Obviously they will not because they have not. What I have lately noticed and what is particularly disturbing, is the hate speech uttered by some Rabbis. I have a great measure of sympathy with Jewish emotions. However, if the historical Jew (pre 1902) had been as troublesome in the countries where they lived as the modern day Zionist have been since 1902, then one begins to understand why they have not been welcome anywhere. I don't think the subject is whether or not there is a God. What a useless debate. Instead we should be looking at what the Jewish community should be doing to stem the noxious tide of Zionism, which is using Judaism as an excuse to plunder Palestine and violate international laws. How many Jews are there? I am not talking about those who are zionists, or who consider themselves "ethnically" Jew; but real Jews? Those that have some sense of morality. I would suggest too little a number to raise their voice over the noise of the "fake" Jews. In Australia, financial benefits are available to those who have some Aboriginal blood. You see people who are 1/16 or so they will tell you. They are Aboriginal only to be able to claim a welfare payment. Zionists are not Jews, but just those seeking financial benefit or a disguise for their wrong doing. So how many Jews really exist in this world? I don't think they can help clarify the situation for those who don't understand what is going on. I used to read Rabbi Sacks' weekly comments on the Torah, but then he started mixing religion and politics, whitewashing Zionist history and depicting a fairy-tale land of Israel. "But we repeatedly extended our hands to the Palestinians and they always responded with violence and deception"
(I guess that such word might be interpreted by a psychologist as an instance of projective identification). "The Muslims have their "Imams" and the sword, according to history. " - crusades, invasions & wars launched by the Roman Church and the barbaric european feudals against a peaceful & civilised countries where christians, jews & muslims lived in peace side by side in Palestine, Syria, Lebanon ? - ethnic cleaning, launched by the christian Church in Andalussia where 75% of people where muslims ? - christian inquisition and persecution of muslims & jews since the 15th century ordered by the christian Church ? - may i mention the genocide of american indians till the 20th century and the erasing of their beautiful civilisation bye the WASP ? - and the organised slavery in Africa ? - the millions of european people were slaughtered in the WW1 & WW2 ? - hundreds of thousands of japanese people killed in a second by he most horrific slaughter in history in Nagasaki & Hiroshima ? - the invasion & ethnic cleansing in Palestine since 1948 ? - number of wars wagged against muslim countries in Africa & Middle East to steal their own ressources as oil, gold, etc. - and last but not least, since the end of WW2, the statistics figures shed light on this fact: the rate of death due to wars are the most high in muslims countries almost all are civilian people as we can see every day in Afghanistan, Irak, Palestine, etc. etc. The history will keep one fact: western way of life was desastrous for humanity! So Arthur, my advice to you never, never talk about this "sword" of Islam. Never! Because i can tell one thing i prefer the "sword" of Islam rather than the sophisticated classic & nuclear weaponery you used against civilians all over this plabet. I was just wondering why do you think that it is all the Jews are required to say sorry to the Palestinians? What do Jews that don't live in Israel, never went there, nor plan to, have to feel sorry about? Sorry for simply existing? Isn't it what some Palestinians say they were "guilty" of in Zionists' eyes? I think with your "all Jews" comment you maybe placing yourself in a dangerous territory, and I am not even talking about anti-Semitism. Wouldn't it require all Britons to say the exact same word to the P. as well? I know that it is an entirely separate conversation and discussion, but wasn't it the British, without having been asked by the most Jews of E. Europe, decided to appoint some early Z leaders as the mouthpieces of all E Jews and gave them power to speak on behalf of all Jews in saying that they want a Jewish homeland in Palestine? Isn't it how this mess began in the first place, in all honesty?